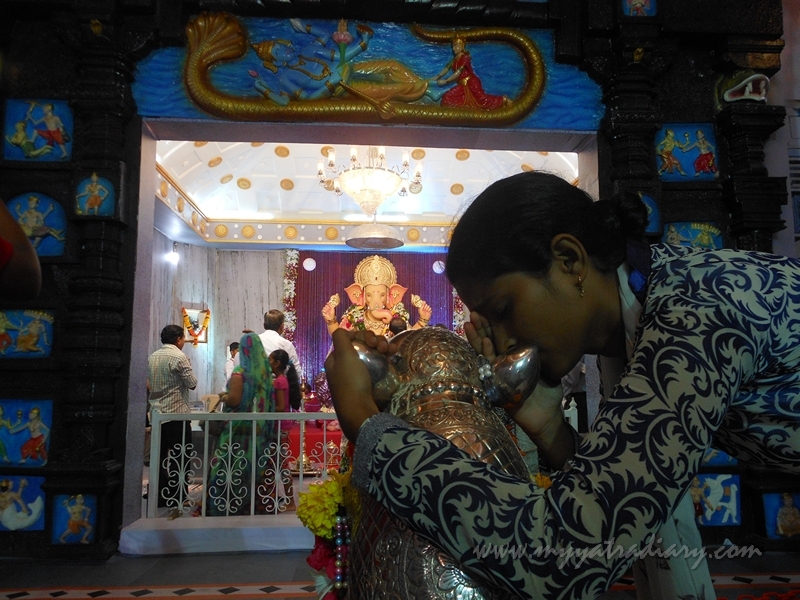 Ganesh Chaturthi Pandal Hopping: Andhericha Raja in Kunkeshwar Temple, Devgad! and yet it's intimacy with a personal friend. 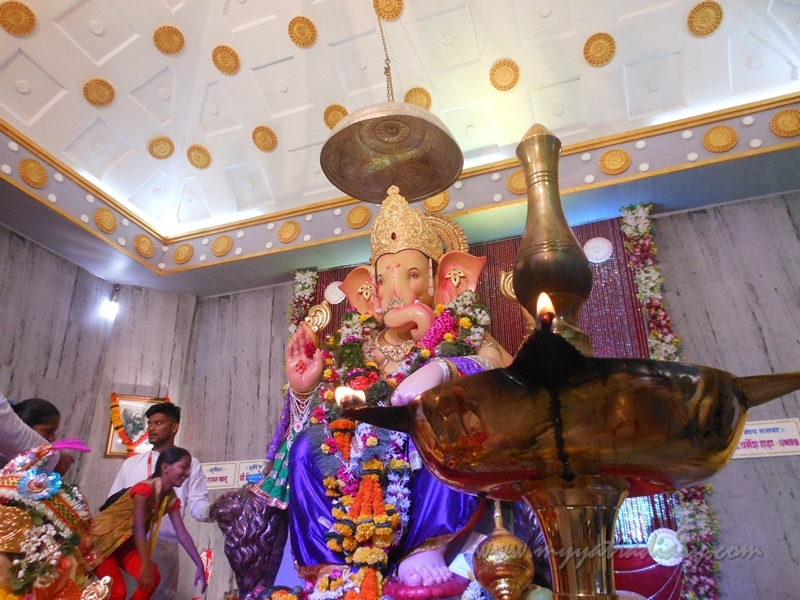 Thematic pandals are undoubtedly one of the most alluring aspects of my Mumbai pandal hopping experience during the Ganesh Chaturthi festival. 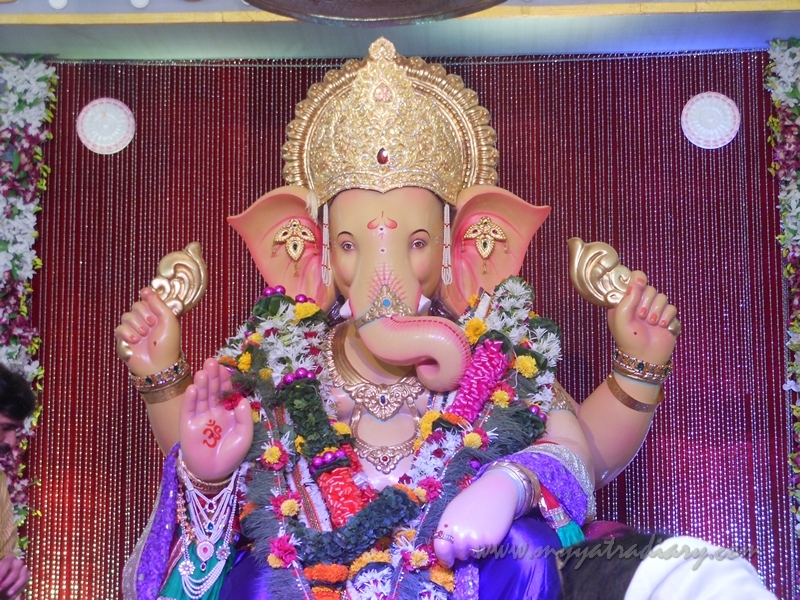 You see, Bappa loves to travel to spiritual and historical places of significance just like me - so when he comes to town, there is often a good chance that he has brought with Himself a slice of incredible India along, often unknown or known destinations that are not widely promoted in the media and unknown to me. It gives me an opportunity to travel beyond the limited confines of space, money and time. Also, ignorance. 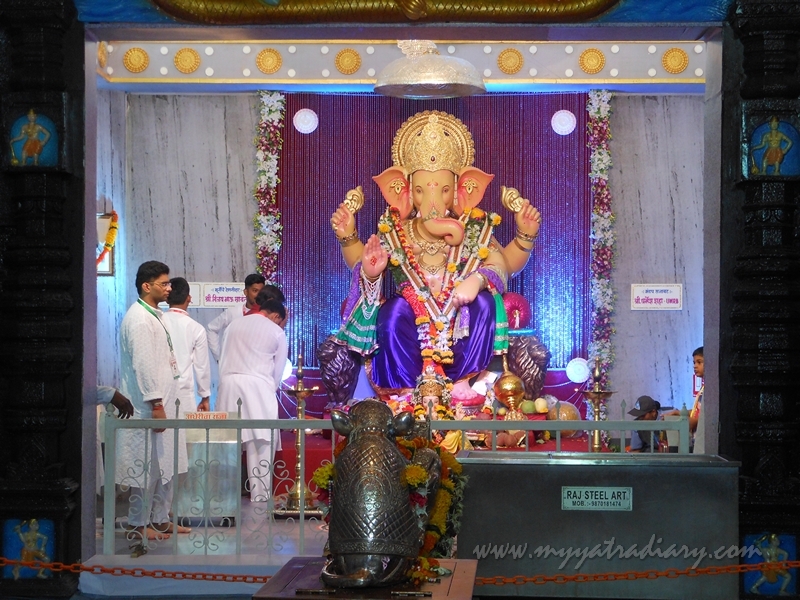 One of the popular pandals, Azad Nagar Sarvajanik Utsav Samiti's Andhericha Raja in Mumbai! So when I visited Andhericha Raja in Andheri West, Mumbai this year, it wasn't just a matter of crossing a few railway stations, but it was also a wonderful opportunity to travel far… far away to a beautiful place I had never heard before, nor seen before. Presented below is my experience in the form of a photo story of the same, would you like to come along? 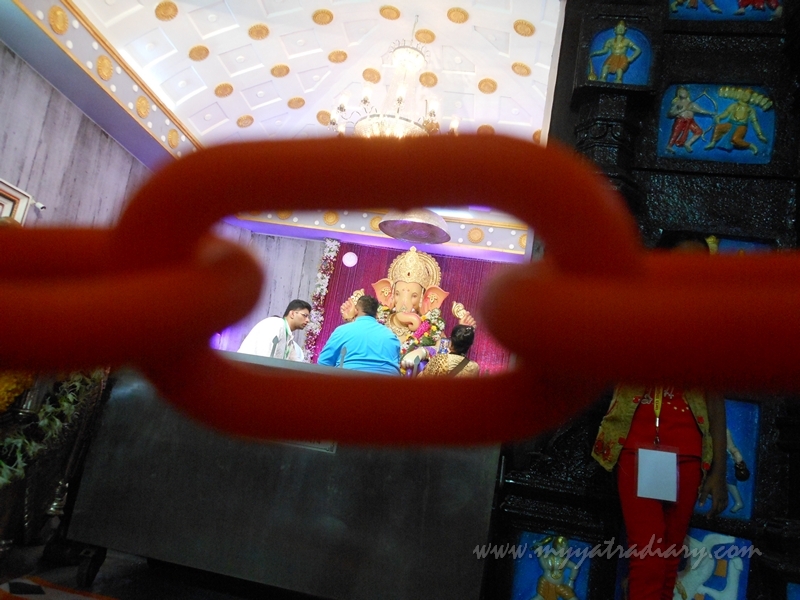 DAY 8: GANESH PANDAL HOPPING: THEMATIC ANDHERICHA RAJA! The towering set is majestic just like his aura – it’s Kunkeshwar temple in Devgad taluka of the Sindhudurg district of Maharashtra. Situated on the coastal shore of the mighty Arabian sea, the temple is dedicated to Lord Shiva and is built in South Indian style of architecture. Also famous as Kashi of South Konkan, Chhatrapati Shivaji Maharaj was a loyal patron of the temple. 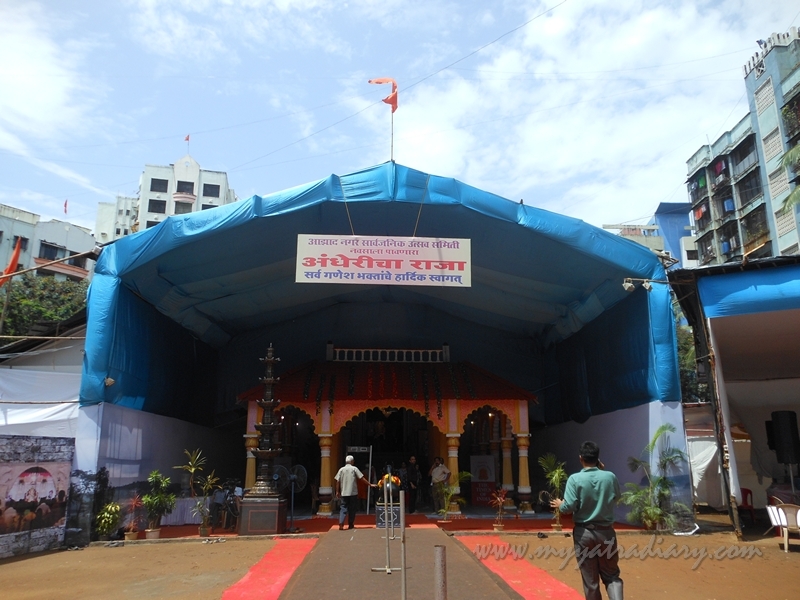 This is Kunkeshwar Mahadeo Temple, Devgad in Mumbai - Welcome in! According to the legends, the temple was built by a Muslim merchant after he was saved from a storm while travelling in the sea. A light he had seen heard his prayers and brought him safely to the shore. As per the promise made, he built a temple in honor of the same light that had saved him. Ironically, he jumped to death from the pinnacle of the same temple as he thought that the building of the temple went against his (accepted) Islamic faith in society. The royal Andhericha Raja in its 51st year. 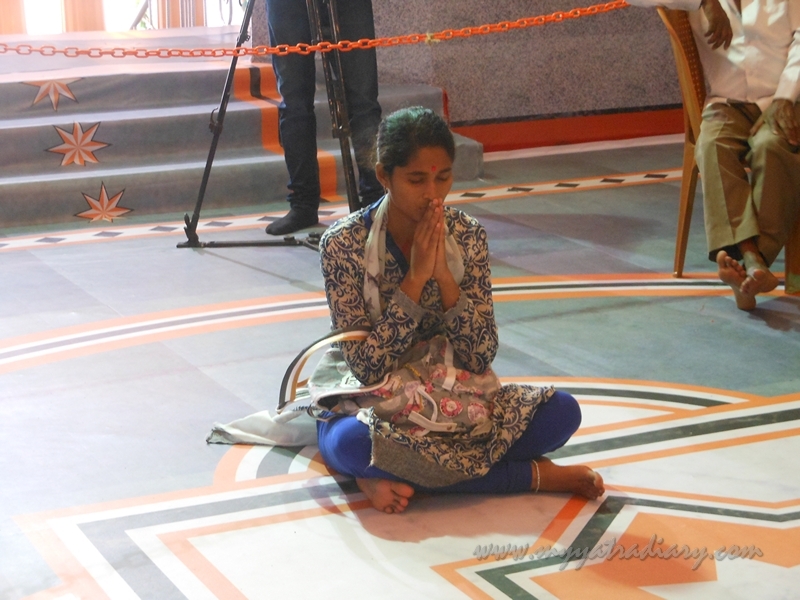 The temple today stands testimony to this tragic story of lost hope, resurrected faith and the clutches of fear that keep us trapped in the humdrum of society and daily life. 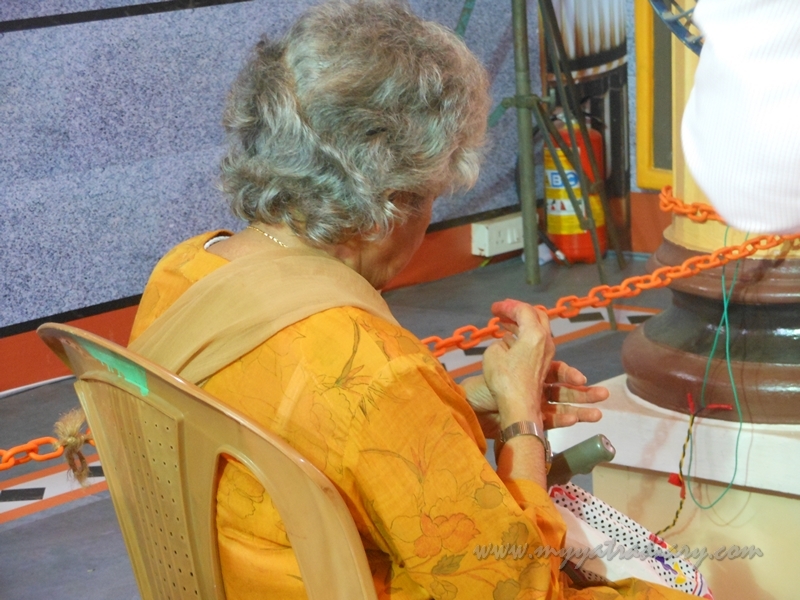 Colorful stories like these stressing on important ethical virtues of life can be seen all around the pandal - in postcards, placards, paintings and in existence. 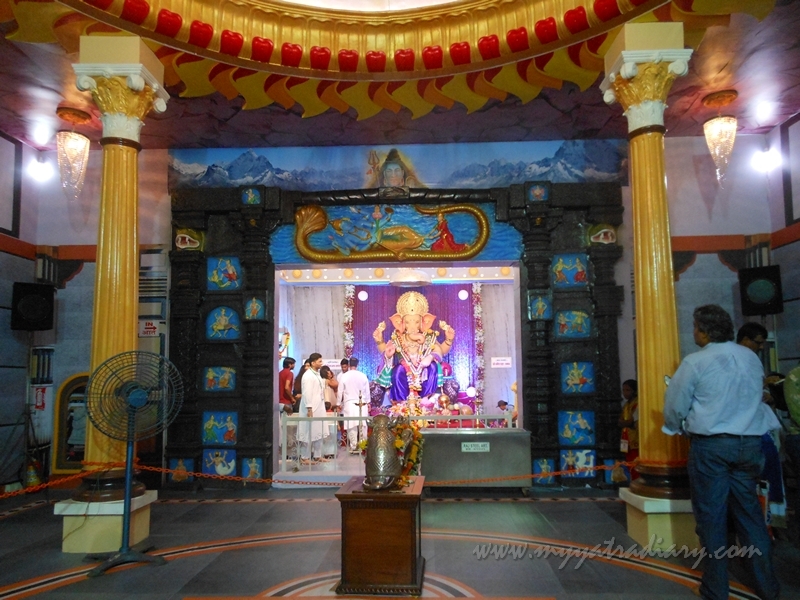 The main sanctum at the center of the pandal is where Bappa sits, life like and huge, like a God who has truly descended from heaven to earth. There is a serpentine queue of his followers to meet him, so he keeps busy most of the time. He's got a long list of wishes to sort out, a lot of problems to solve, all this while smiling and posing for the shutterbugs! He's got to do it all: He's a hero after all! Just to make sure their earnest plea does not escape unheard through his engaged elephant sized ears, the believers catch hold of his pretty petite devotee Mouse. They whisper words of prayer in his tiny ears, words that are powerful, words that come from a place not easy to locate and words that go to a place somewhere beyond. Karyakartas, sevaks or volunteers guide you at each and every step so that you are not lost on your way to Bappa. Age is just a number here. It's the spirit that counts. A spirit of faith that binds children, young and old alike in a single thread of love and devotion. I am the monitor of this class, little Apeksha tells me joyfully. Am I not doing a great job at it? she asks. 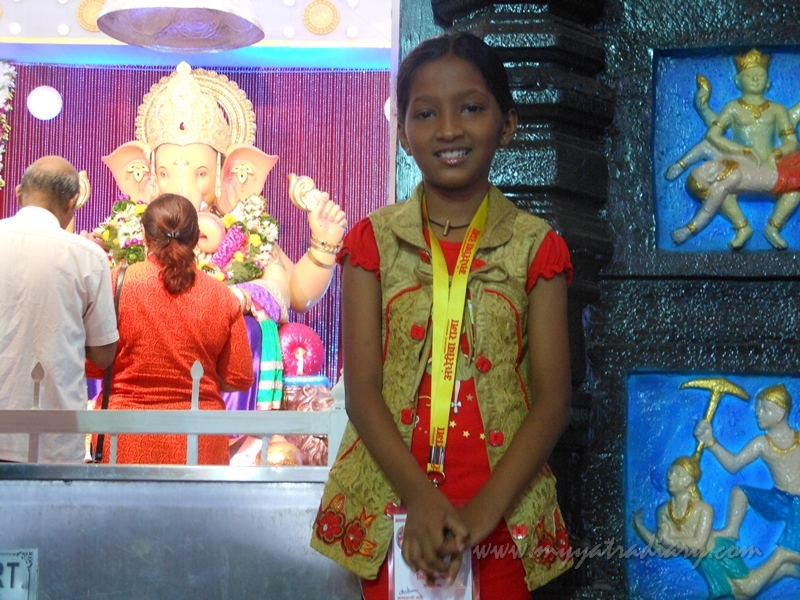 She is a terrific monitor for this class of Bappa! One glance around her class and I can't agree more with her. Though there is a continuous hum of chatter prevalent in the tent, people generally keep to themselves. They fiddle with their digital toys, click his pictures and theirs, or sit in silence and chant their prayers. There's a lot to say and hear back from him. Perhaps, they ask for his unfailing grace or may be they thank him for all he has given and seek his guidance for all that is yet to come. Whatever it is, these are conversations that are intimate and intense even from a distance. Chains of adoration and affection are formed with the words that they speak, it's the sincerity in their devotion that ensnares him to them. Suddenly, a photographer from a renowned newspaper steps in from somewhere and the entire room is emptied hastily. I follow suit in a bid to capture Bappa at his best. It’s a short break before he would be getting busy again. It’s a photo shoot and he’s a complete natural at that! of the stormy seas of life and living. P.S. 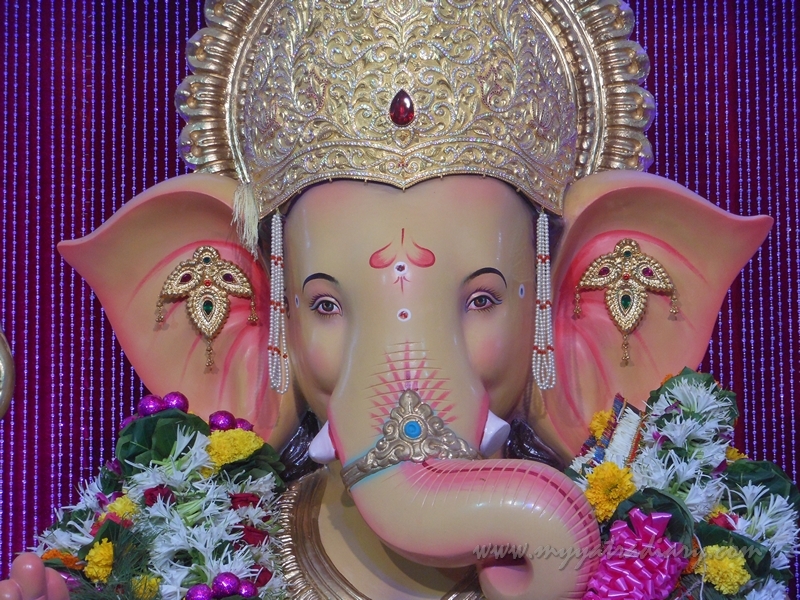 : This year, come along with me for meeting our very own neighbourhood friendly Ganesha on My Yatra Diary... peeping into one pandal each day. 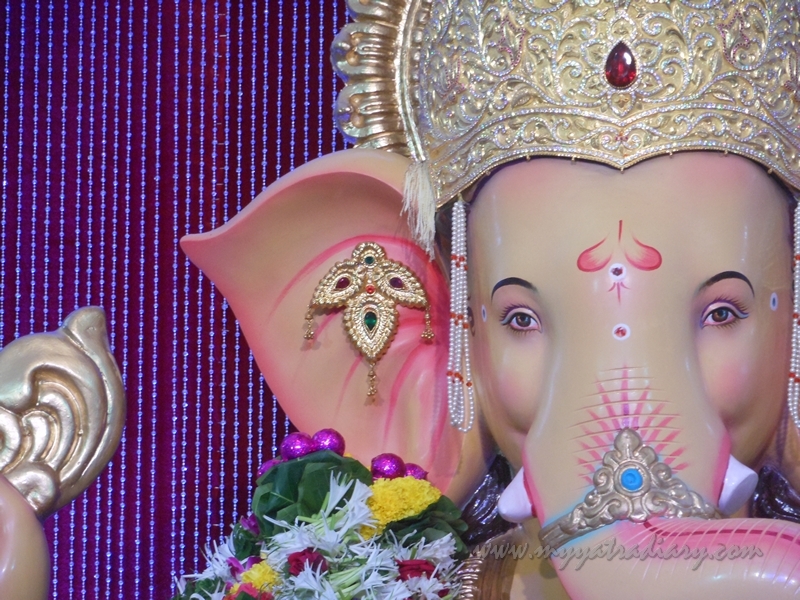 You can also visit 2015's posts here --> Ganesh Pandal hopping from Mumbai. Very very beautiful clicks. Loving my virtual journey of the pandals in Mumbai. Thanks Arti for bring me back those memories . 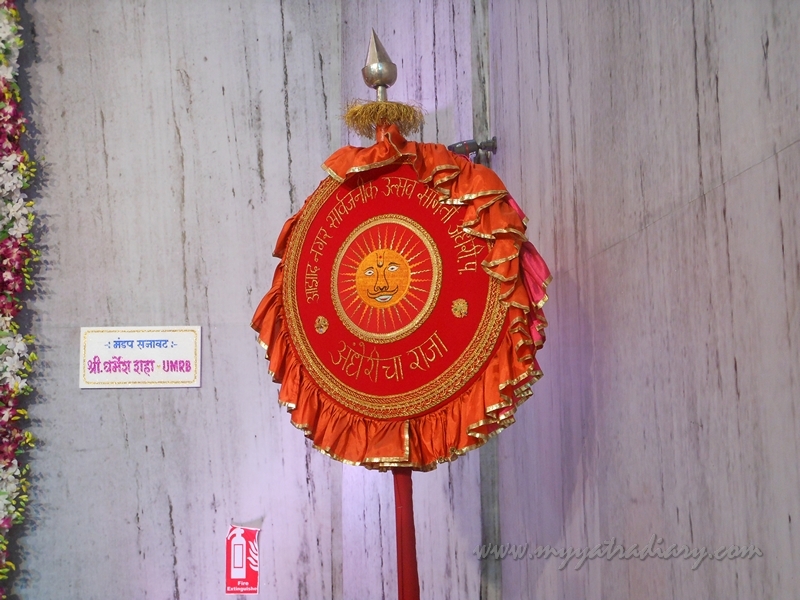 What an interesting ceremony!Everything is quite new for me. Very spiritual. I like the first photo.Glad you are fine, Happy new week to you! Absorbing imagery and the quote at the start about prayer is simply brilliant. 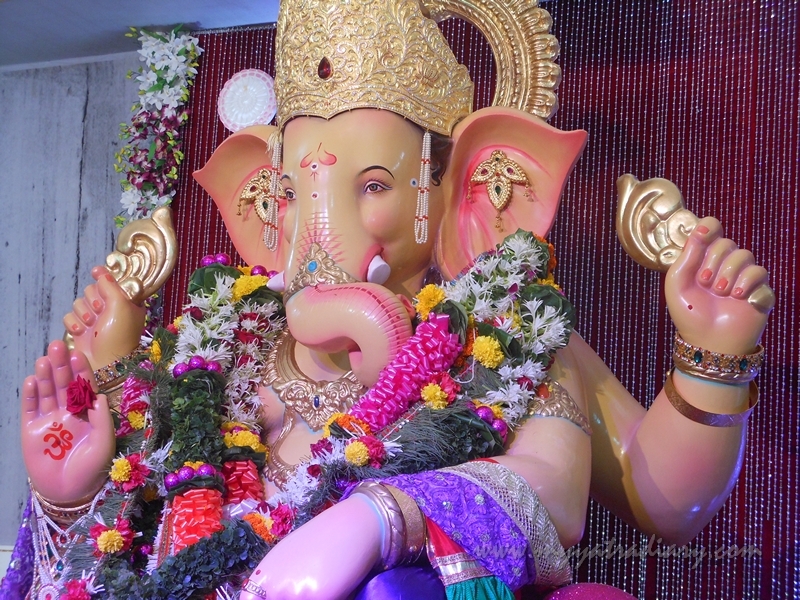 Bappa looks so great while posing for photoshoot. The story of the temple is so touching. It's nice to see how volunteers help and guide. 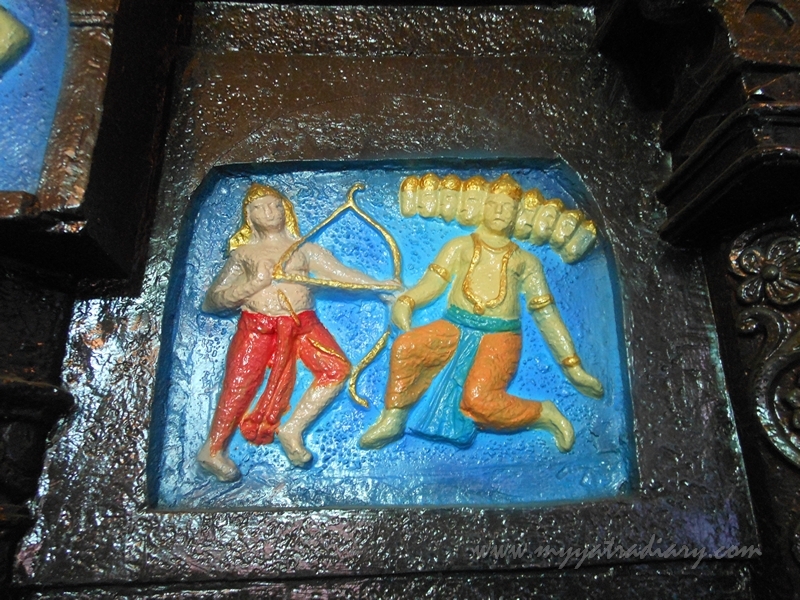 An evening in Chennai: Temples to visit.